Guess what! We have just made it easy for you to give the children that you care about great oral health and wellness training. No lessons plans just scripted lessons written in 6th grade English or Spanish. Every lesson comes with everything you need to start teaching immediately, and it is conveniently packaged in a light-weight plastic, carrying case. You will even find handy tips on how to talk to children. The lessons themselves are designed to help you always have visual contact with your audience as the same picture the audience sees is printed on the back of the picture you show them. Copy and key points are also printed on the back so memorization or looking away from the audience to glance at notes is unnecessary. All the lessons are based on true science and are interactive. The teacher and the learners actually have a discussion of the topic presented. Some lessons include puzzles, puppets or even magic bags and all the lessons involve true science. Beautiful electron microscope pictures show the invisible bacteria around us. Dr. Croll’s wonderful photos of actual teeth, mouths and gums help the learner understand the importance of good oral and full body health. Most lessons stand alone and do not require a worksheet so they are appropriate for even the very young learner, who might not be paper and pencil ready. Still every lesson has a take home sheet to provide information or a follow up activity for the learner and the family to do together. This allows even the youngest learner to share what they learned with their family members. All take home sheets have the answers to the activities printed upside down on the bottom of the sheet. We are here to help you build a library of interactive materials that can be used year after year. They are ready to go at a moment’s notice and hopefully will be loaned out to other groups within your community. 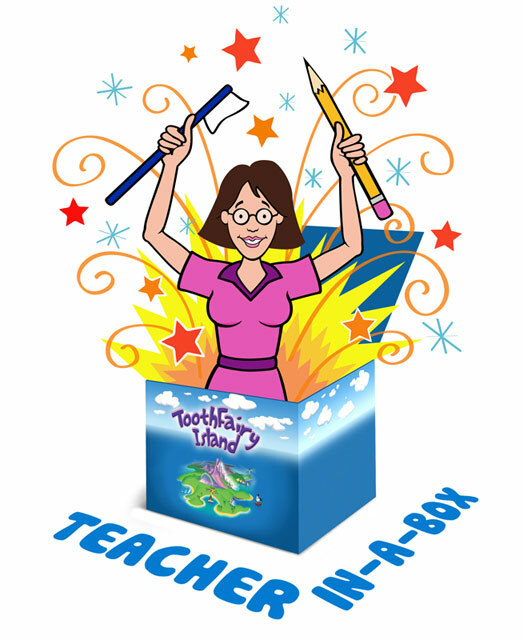 We need more educators and we hope you will see how our “Teacher in a Box” is a convenient way to reach out to your community!